The tiny Princess has begun the new year with a very special first – her first day at Willcocks Nursery School – and her mum has taken some very adorable photos of the momentous occasion. Looking like a smaller, more bow-adorned version of her brother, Prince George, it’s clear to see that Charlotte could not be more excited about her big day, and possibly her new shoes also. She’s grinning from the steps of Kensington Palace, obviously more than ready for the day ahead. “The Willcocks Nursery is a traditional nursery school which strives to maintain its ethos for high standards, excellence and good manners,” their website says. The school was founded in 1964 by Miss Diana Willcocks and parents speak very glowingly of the teachers and its excellent outcomes for little people. “A short note to thank you for the most wonderful father’s breakfast at the Willcocks. If only every morning started so wonderfully,” one parent writes of the now-Royal school. The little princess, who turns 3 in May, will be at Willcocks full-time. 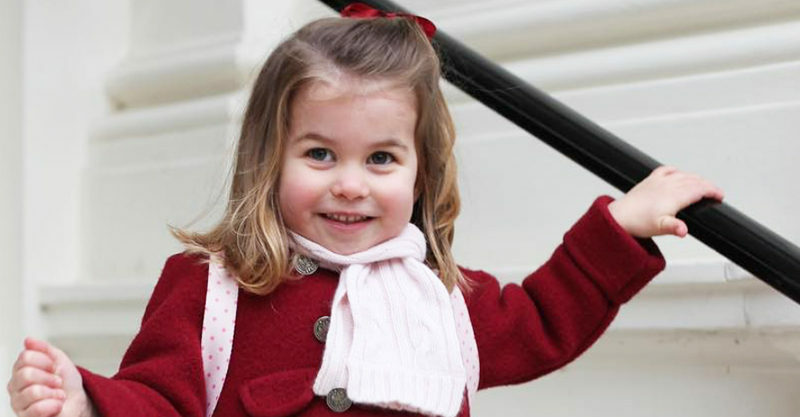 “Their Royal Highnesses have also announced this morning that Princess Charlotte will attend the Willcocks Nursery School in London from January 2018,” the palace said, back then. 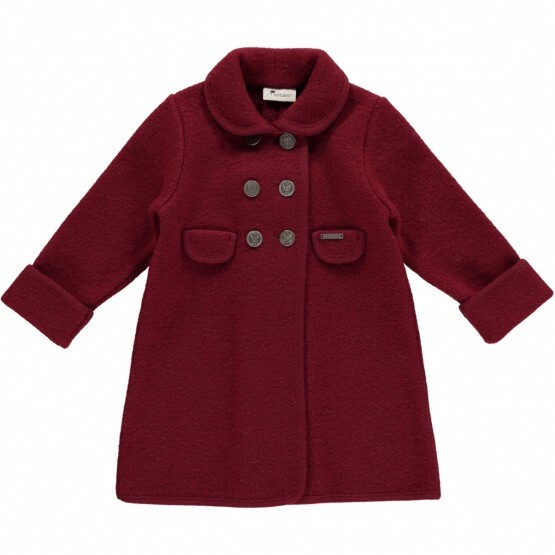 Hello Magazine tells us that Charlotte is wearing a red Amaia Kids coat. 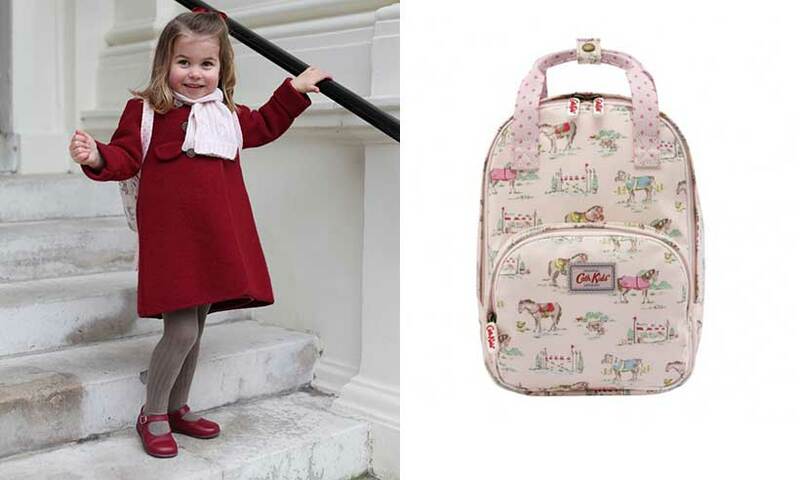 On her back is a Cath Kidston pink backpack with little horses adorning it. 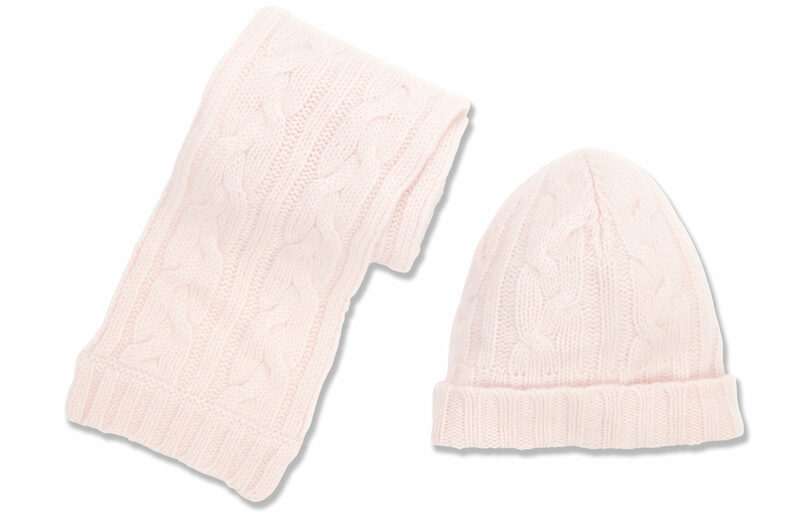 She’s rugged up in grey cable knit tights and a pink cashmere cable knit scarf by royal designer Marie-Chantal. 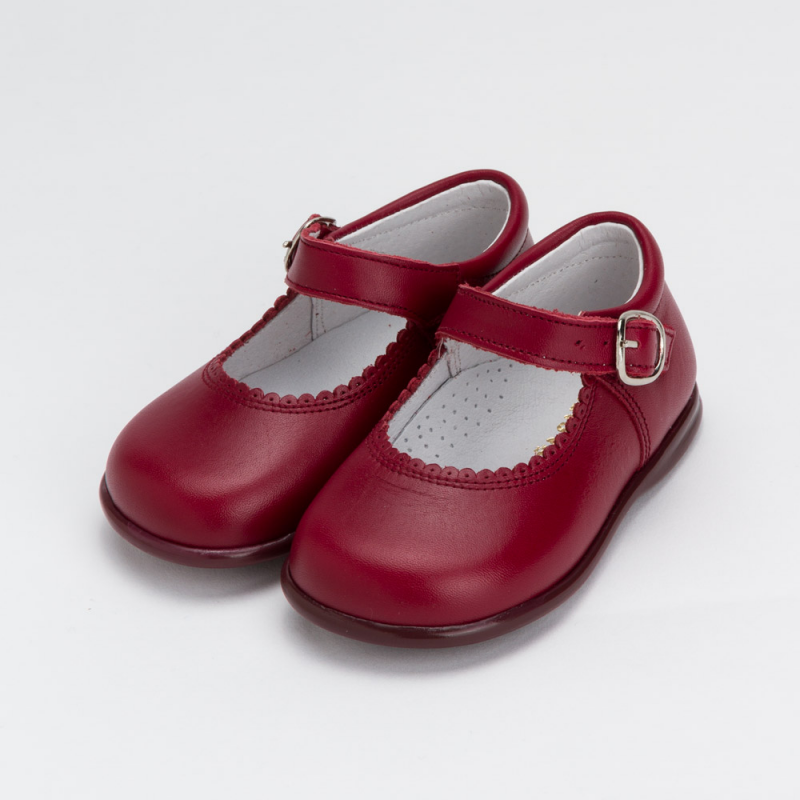 On her feet, a pair of Mary Jane shoes from Spanish designer Dona Carmen. #happyshopping! The school apparently costs £14,500-a-year to attend, with Tatler Magazine describing it as a “hidden gem” which is home to the kids of “old English families and chic foreigners”. “Kindness is evident everywhere, plus the nursery is a cooperative, so you know staff are in it for the long haul,” Tatler wrote in a piece last year. Willcocks is just ten minute from Kensington Palace, making the school run a bit of a breeze. We feel pretty lucky to catch a glimpse at this young family’s milestone moments, and hope that the little princess enjoys her first day at school. She’s fast catching up to her big brother! Charlotte’s parents, Prince William and Duchess Kate, are expecting their third child in April, a much-anticipated sibling for her and Prince George.